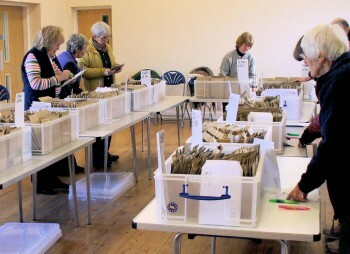 Why does the Hardy Plant Society have a Seed Distribution Scheme? We are committed to ensuring that garden-worthy perennial plants remain in cultivation and have the widest possible distribution. The Seed Distribution Scheme plays a part in this commitment. Who’s involved in the Scheme? Members organise and run it with support from the administrative office. The different stages of the distribution are carried out by teams of member volunteers. 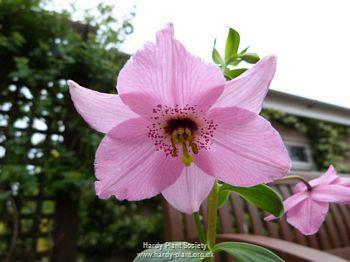 Members collect seed from plants in their gardens, both in the UK and overseas, and donate it to the scheme. 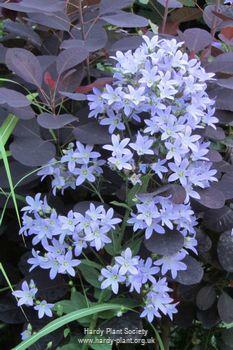 Some seed is from familiar favourites, while some is from rare and hard to find plants. Seed is donated throughout the summer and autumn, with the donating period ending on October 31st each year. The members of the team then prepare a seed list and circulate it to members with the November newsletter. They publish a descriptive database on this website in November. There is no charge for the seed itself, although a charge is made to cover postage and administration. What’s the size of the Seed Distribution? In a typical Seed Distribution year we offer over 2,000 named varieties; orders are sent to 18 countries worldwide.